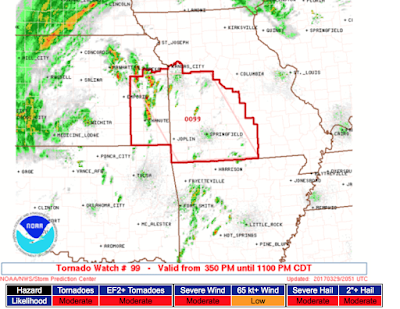 MSE Creative Consulting Blog: Tornado Watch Kansas and Missouri. Note there is a moderate risk of strong tornadoes. 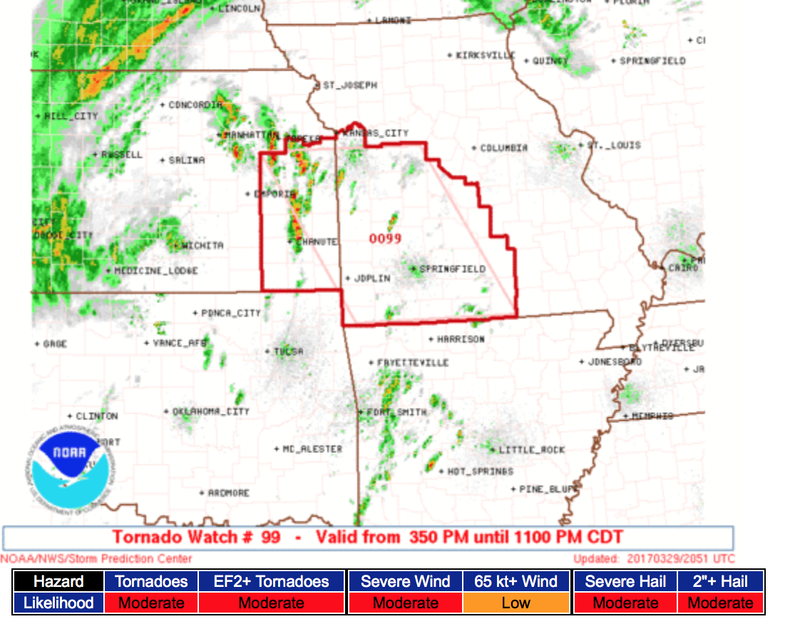 The watch includes the Kansas City area south of I-70.